Through conscious direction of your thoughts, you can learn to affect the functioning of your brain regardless of your age, neuroscientist Andrew Newberg says. The director of research for integrative medicine at Thomas Jefferson University Hospital in Philadelphia as well as assistant professor of religious studies at the University of Pennsylvania will be at the Cummings Centre on May 22 to talk about his landmark research exploring the power of the mind and the significance of spirituality on wellbeing. “Everybody has an ability to change their thought processes and their patterns of behaviour to some degree,” says Newberg, whose books include Why We Believe What We Believe: Our Biological Need for Meaning, Spirituality and Truth and How God Changes Your Brain: Breakthrough Findings from a Leading Neuroscientist. A pioneer in the emerging field of neurotheology, Newberg’s research has focused on how brain-imaging techniques reflect spiritual experiences. He has discovered that intense prayer and meditation can positively alter numerous structures and functions in the brain. “One simple meditation practice done once a day for 12 minutes for eight weeks had a substantial effect.” However, not all religious beliefs are beneficial. Those that emphasize a loving deity or experience can reduce stress, anxiety and depression while hellfire and brimstone fundamentalist beliefs can generate negative emotions that cause permanent damage. The placebo effect, in particular the power of hope, has an important place in a holistic healing process. “Hope itself should not be discounted,” Newberg says. “I find it strange that it is talked about in a negative tone. The brain is incredibly powerful and the placebo effect is substantial. In the literature, the overall response is about 30 to 40 per cent, very large or very small in individuals, depending on the study.” While the placebo effect is not clear, it is known that the most optimistic people have a lower rate of mortality and depression. Putting a scientific lens to something as subjective as belief brings up larger questions. While the scientist wants objective measures, such as blood pressure, the human being is searching for answers that cannot really be quantified by scientific criteria. Newberg will speak at the Cummings Centre’s Meditation & Brain Health Symposium May 22. Registration at 11:45 am, $25/$35 non-members. 514-342-1234. 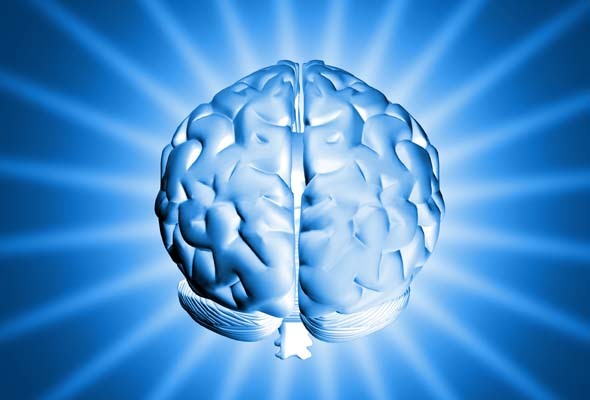 Be the first to comment on "Neurotheologist explores the science of the power within"